Here’s a map of The Seven Hills of Rome. 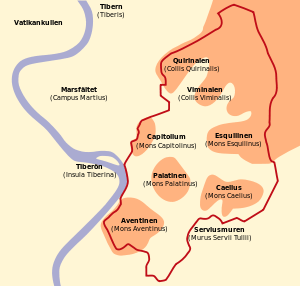 The seven hills are: Palatine, Esquiline Aventine, Viminal, Caelian, Capitoline and Quirinal. Visit all of the interesting sights in Rome by using this handy map. 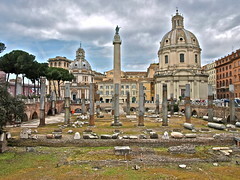 The Egyptian obelisk at the center of Piazza Esquilino comes from the Mausoleum of Augustus. 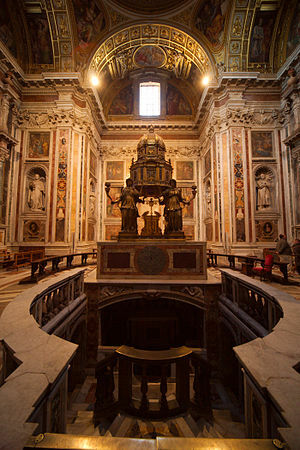 Visit the magnificent Santa Maria Maggiore Basilica. 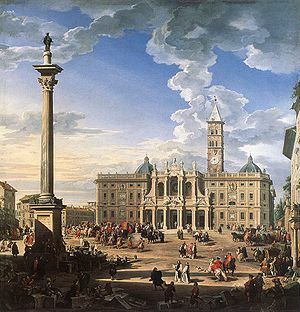 The Basilica di Santa Maria Maggiore is a UNESCO World Heritage Site. 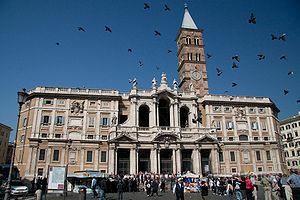 It is one of the four greater basilicas of Rome and it has two facades. 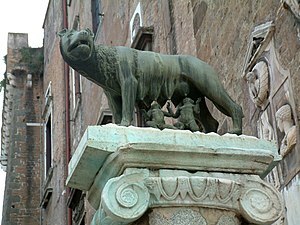 One of them is located in Piazza Esquilino. 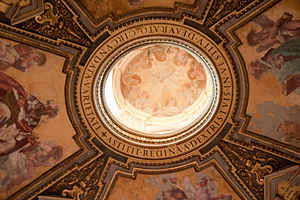 On the opposite side of the Basilica, it is easy to see the front facade with the twin domes. The rear facade faces the lovely Marian Column and has a massive bell-tower. On Corpus Christi, the Pope conducts mass at San Giovanni Church and then leads a procession along Via Merulana to Santa Maria Maggiore. 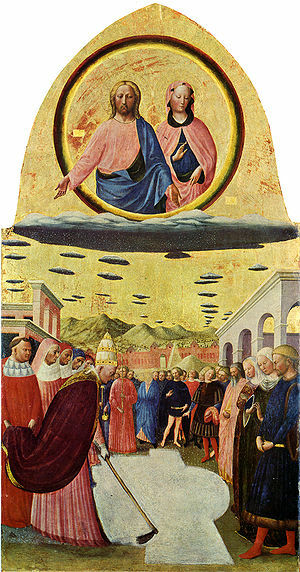 According to legend, on the night of August 5, 356 the Madonna appeared in a dream to a nobleman and the Pope (cannonized Saint Liberius). She asked them to build a sanctuary dedicated to her on the summit of Esquiline Hill. The dream foretold of a blizzard that miraculously occurred in August of 352. 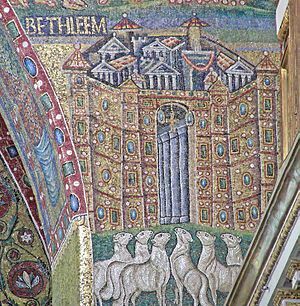 There are beautiful mosaics representing the “Miracle of St. Mary of the Snow” in the portico. A precious (bronze, marble and lapis-lazuli) relief by Stefano Maderno in Cappella Paolina portrays the pope drawing the plan of S. Maria Maggiore on the snow which had fallen on the top of the Esquiline hill. Although snow usually doesn’t occur in Rome in August, hail-storms are not unlikely to occur. The miraculous “Legend of the Snow” is re-enacted every year at the Basilica on August 5th to commemorate the feast day of Our Lady of the Snow as white rose petals fall from the dome of the basilica. 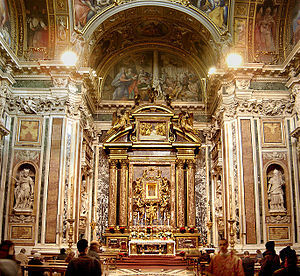 Under the altar is a crypt housing the remains of St. Matthais, who was the Apostle that was chosen to replace the vacancy left by Judas Iscariot. 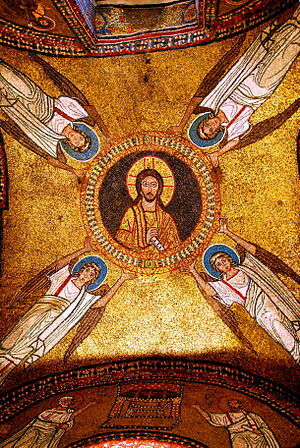 I love the Basilica di Santa Prassede all’Esquillino. This church was commissioned by Pope Hadrian I in 780. 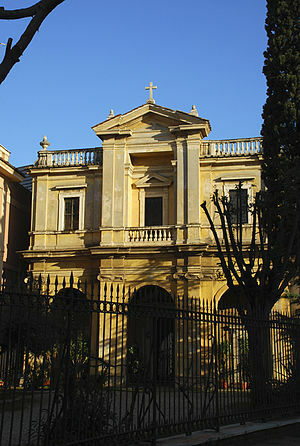 It was built above the remains of a 5th century structure that contained the bones of Saint Praxedes and Saint Pudentiana. These female saints were murdered for providing Christian burial for early martyrs in defiance of Roman law. 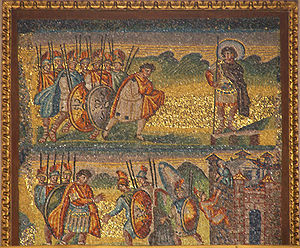 This church houses incredible mosaics and a small piece of a pillar that was used to flog Jesus befor his crucifixion. 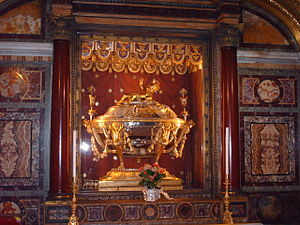 The relic is alleged to have been retrieved in the early 4th century AD by Saint Helena. 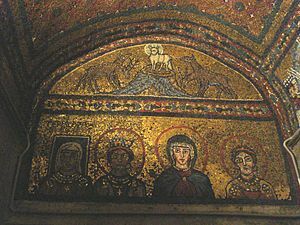 She was the mother of the Roman Emperor Constantine I. When she was 80 years old, she embarked on a pilgrimage to Golgotha in the Holy Land. She collected relics associated with the crucifixion of Jesus in Calvary.